Last week I came across some headlines that a study had shown some potentially harmful chemicals in some name brand dental floss. One of the brands of floss is the one I use in my own mouth, so I was immediately intrigued by the possibilities that this study offered. Of course, as usual when it comes to mainstream media reporting of scientific work, there was little actual substance to the articles that mentioned the study other than to provide enough “scary click bait” to ensure that the sites could show advertisers how many readers they have. After spending some time really reading and digesting the info, I was unimpressed with the control of variables and several other factors. PFAS chemicals can be found in many sources and it seems to me that there wasn’t very strict control on those variables. Also when you consider the small size of dental floss and the amount of time that the floss is actually in contact with soft tissue, it would seem that there would have to be a seriously fast uptake of the chemicals to create high dosage numbers in the bloodstream. In a nutshell, I felt this was a non-issue and decided not to do a blog post as I don’t like to give a platform to things that don’t hold much demonstrable science. However, I changed my mind regarding this when the ADA came out with a statement on the situation. My feelings are that if the American Dental Association feels that this deserves a statement to calm fears, then I am a willing conduit for that. It also helps that the position of the ADA is very much inline with my interpretation of the study as well. CHICAGO — Recent, wide-spread news coverage based upon a recent research study may raise unwarranted concern about the safety of certain types of dental floss. The ADA Science Institute finds the data insufficient to support the conclusions presented in this research and associated media coverage. No restrictions on the use of dental floss have been issued by the U.S. Food and Drug Administration, the regulatory agency that oversees clearance of dental products marketed to the public. It is also important to bear in mind that this is a single study. Public health policy and safety decisions should be based on the collective weight of scientific evidence. 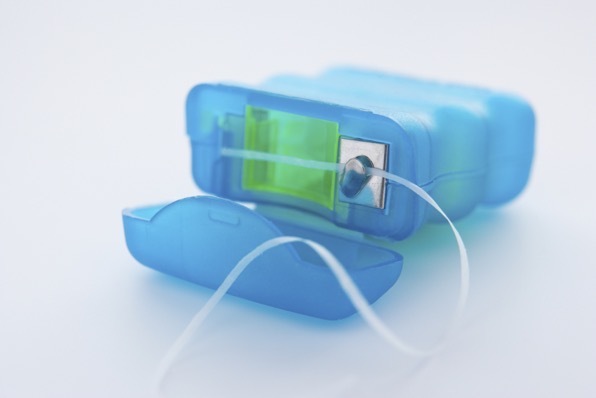 The study measured blood samples from 178 women and found that those who reported using a certain brand of dental floss had higher levels of a type of PFAS called PFHxS (perfluorohexanesulfonic acid) than those who didn't. PTFE is often used in food and beverage, pharmaceutical, and cosmetic applications. The fact that the researchers were able to find the PTFE marker in several brands of floss does not mean that it is the source of the PFHxS in the women. The ADA sees no cause for concern based on current evidence, and above all continues to encourage people to clean between their teeth daily with floss or other interdental cleaner as part of the ADA’s daily oral hygiene recommendations.